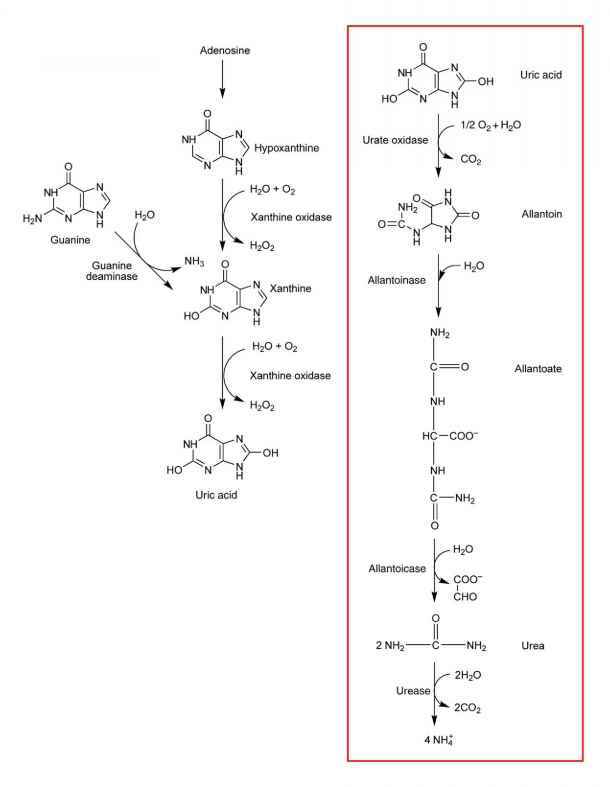 Figure 3.12. The decision tree recommended by Freedman et a/. (1998) for deciding when to use the normal distribution, the t-distribution, another distribution, or go for help. Here a "large" amount of current data means upwards of 25 measurements or so. Reprinted with permission. n = 4 and n = 10. 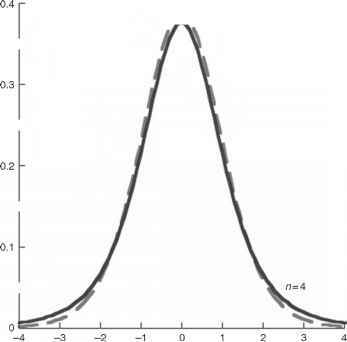 The key features to see from this graph are the normallike shape and the difference in the tails of the distribution. Freedman et a/. 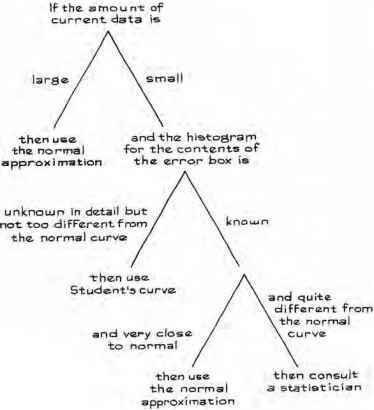 (1998) offer a decision tree (reproduced in Figure 3.12) that can guide one's thinking about when to characterize the data using the normal distribution, the t-distribution, some other probability distribution, or going for professional counseling.